How many times have you floundered around while trying to decide what to order? Either at a new-to-you restaurant or an old favorite? You know--when nothing jumps out at you or (if you're sharing) no consensus can be reached? Wishing, hoping, needing inspiration or direction, yet not even thinking about asking your server? It doesn't happen to N and I that often, but we did find ourselves in that situation at Marco Polo on our last date night. We have a mental list of about ten or more dishes that we choose from at MP. Not horrible as ruts go, but a rut all the same. When our server offered to help, I raised my hand (figuratively, not literally) and said, "yes, please!". He asked if we'd ever had one of their noodle dishes. "I can highly recommend our Singapore noodle dishes--one of my favorites. Also, the lightly breaded, salt and pepper prawns are great." Usually, I listen to recommendations and then turn around and order something else. Why do I do that? Do you? (shaking head and hoping you say "yes") But not that night, not only did we take his suggestions but we've added them to our list of favorites. Singapore Curry Rice Vermicelli with Shrimp? Addictive and delicious. Those salt and pepper prawns? I thought N and I were going to battle it out with our forks. Thinking back I should've taken a video. That man knows how to enjoy his food. But I'm curious about what it's like from a server's point of view. Do they get tired of offering suggestions and having them fall on deaf ears? Or is it one of the best parts of their jobs? in response to everything you order. KandN... yeah... hearing that at Applebees is never a good thing, right? Excellent choice would have been eating somewhere else! I wasn't a server too long but when I was, I always gave my honest opinions to people who asked for recommendations. Christo's has loads of amazing food and I needed no prompting to get excited about it. I imagine though that for some, their serving job is just a job and they're just getting through the shift. They might not give a damn about the food. I think I can usually tell the difference though. We were looking over the amazing menu recently at Beaker and Flask in Portland. We just couldn't decide, so we asked our server, who was enthusiastic about pork so we went for it. He was right on :)That same morning, our server at breakfast spent her times speaking with us looking out the windows, so I didnt take anything she said to heart. Guitar4me, Yes, hearing that at Applebee's is like salt in the wound. Or (in my head only) sarcastic retorts begin to hatch. I used to be a waiter and occasional cook at a restaurant and I would always love answering food questions by customers. Of course I am a bit of a foodie and can talk endlessly about flavors and textures and spice and sweetness and savoriness and a million other things. Sometimes the customers didn't necessarily want to hear a detailed process of how the entree was made and specific ingredients and so on. I have never had a bad meal at Marco Polo, its probably my favorite restaurant in Salem. I always order the twice-cooked pork (some places its called double-cooked pork), however, anytime I have branched off into their specials or into their European menu, its always delicious. Their mock chicken is even better than regular chicken, I don't know how thats possible. gstatty, The twice-cooked pork is on our list, too. Do you ever miss working at a restaurant? 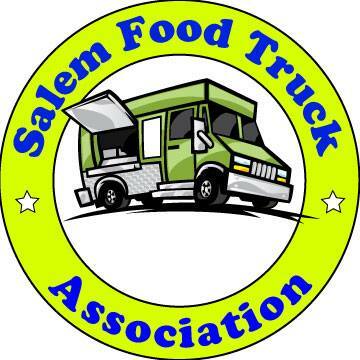 If you would ever like to join us as a contributor drop us a line at eatsalem@gmail.com.